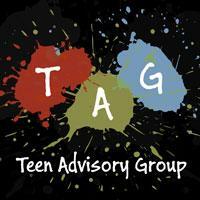 TAG - Teen Advisory Group! Teens, are you interested in meeting other teens? Do you need volunteer hours for school? Are you curious about how the library works? Do you want to have a voice in what kinds of programs the library offers? Consider joining TAG, MCPL's Teen Advisory Group. Meetings are held monthly and provide volunteer hours for participants. If you're interested, give us a call at 715-261-7230 or stop by the MCPL Wausau reference desk!